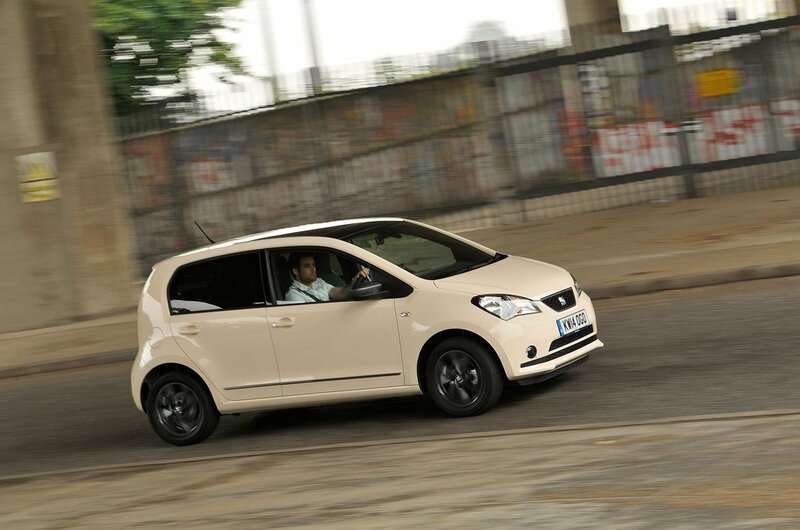 Deal of the Day: Seat Mii | What Car? We praised the Seat Mii as one of the best first cars available today, thanks to its dinky size, tiny running costs and modest price tag. A discount of £582 off the list price makes the Mii an even more plausible prospect for a new driver, and a safe one too; scoring 89% for adult safety in its Euro NCAP crash test. Few can compete with the Mii’s running costs, especially when in Ecomotive guise. Impressive claimed figures of 68.9mpg and 95g/km can be attributed to the Ecomotive’s stop-start and energy recovery systems, while group 2E insurance is ideal for young drivers. While not as plush as its sister, the VW Up!, the Mii’s Volkswagen group roots guarantee a solidly finished interior, and the SE trim adds quality touches to the more drab cabin of the entry-level car. The SE spec also comes with a decent haul of kit, with air conditioning, electric front windows, a six speaker sound system and alloy wheels to boot, however sat-nav is reserved for the more costly i-Tech trim, or is a £320 option with the SEAT Portable System Live device. Those in the market for a pocket rocket may be disappointed by the slightly underpowered engine, although this is what helps to keep the insurance and running costs at a minimum. The Mii also betrays the design flair of its Latin heritage, while lacking the cute appeal of the Up!. Altogether it’s a convincing little package, though. If you want to be thorough about safety, the £205 Safety Assist option auto-brakes above 3mph and below 19mph to avoid collisions. Anything else would detract from the Mii’s budget appeal. The deal is on autoebid.com, select the Seat Mii from the options and scroll down to the 1.0 Ecomotive SE 3dr.